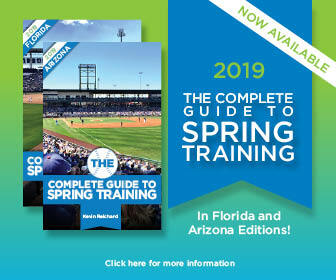 We’ve posted the Los Angeles Dodgers 2019 spring schedule, as the team prepares for an 11th training camp at Camelback Ranch-Glendale in Glendale, Arizona. We’ve posted the 2018 Los Angeles Dodgers spring training broadcast schedule, which features 20 games on SportsNet LA, 16 broadcasts in English on AM 570 LA Sports and eight Spanish-language broadcasts on Univision Radio’s KTNQ 1020 AM. We’ve posted the 2018 Chicago White Sox spring training broadcast schedule, with six Cactus League games televised from Arizona (five on NBCSCH; one on WGN), and 13 additional webcasts on whitesox.com. Camelback Ranch-Glendale upgrades are on tap for spring training 2018 as new shaded areas will be available down the third-base line, along with a new high-def scoreboard at the Cactus League home of the Chicago White Sox and Los Angeles Dodgers. We’ve posted the Chicago White Sox 2018 spring schedule, as the team prepares for another Cactus League training camp at Camelback Ranch-Glendale in Arizona. We have our two finalists for the Best of the Ballparks fan vote in Cactus League ballparks, as Salt River Fields and Camelback Ranch-Glendale battle for the top spot. So go vote!